Ferd has taken a new stake in e-commerce. Boozt AB has today completed an initial public offering (IPO) of its shares on Nasdaq Stockholm. Ferd participated in Boozt’s IPO as a cornerstone investor, which means that prior to the IPO process Ferd guaranteed it would subscribe for SEK 200 million. As a result of this investment commitment Ferd now has a 5.8% ownership interest in the company. This is the first time Ferd has participated as a cornerstone investor in an IPO. Boozt is a leading and fast-growing Nordic e-tailer that sells fashionable clothes online. The company offers its customers a wide range of well-known brands in the mid to premium segment through Boozt.com, an online-based multi-brand store. Well-known brands include Ralph Lauren, Gant, Eton, Ganni etc. Boozt has a strong position in the online apparel market. The company’s online store has up to five million visits every month and over 860,000 active customers. Boozt.com is aimed at Nordic customers, primarily fashion-conscious women and men aged 25 – 54. Its customers value a convenient shopping experience combined with a high level of customer service, including a consistent user experience across digital platforms, short delivery times and easy returns. The company’s headquarters is located in Malmö in Sweden, and at the start of 2017 it had 193 employees from 25 countries. The company’s in-house developed IT platform enables the company to manage the customer experience optimally. Handling and distribution is carried out at the automated AutoStore warehouse in Ängelholm with the assistance of 130 AutoStore robots, which enables the company to offer next-day delivery across most of the Nordic region. Boozt has achieved strong historical growth of approximately 70 % CAGR over the last two years (2014-2016), and generated a positive operating profit in 2016. Partners Group, the global private markets investment manager, has acquired a substantial minority stake in Green Tea Restaurant (“the Company”), a leading Chinese casual dining restaurant chain, on behalf of its clients. The founders continue to hold the remainder of the equity, in order to support the restaurant chain in the next phase of its growth. Founded in 2008 with the opening of a single restaurant in Hangzhou, Green Tea Restaurant is today one of the best-known casual dining brands in China. The Company has built a chain of 78 wholly-owned restaurants across 19 cities, mainly in shopping malls. Green Tea, the Company’s main brand, serves Chinese fusion cuisine in a traditional dining environment, while Play King, launched in January 2016, serves a more casual Western menu in a youthful, modern setting. The Company employs over 4,500 people and serves around 15 million customers annually. Partners Group will draw on its long track record of investment in the food and restaurant sectors globally to support the continued rollout of the Green Tea Restaurant brands in China alongside the Company’s management team and its founders. Post-investment value creation initiatives will include projects aimed at enhancing the Company’s marketing strategy and corporate governance framework, as well as optimizing site selection for new restaurants, with help from Partners Group’s Industry Value Creation and Real Estate teams. Following the transaction, Tim Pihl Johannessen, a Managing Director in Partners Group’s Industry Value Creation team, and Sheng Liu, a Senior Vice President in Partners Group’s Private Equity Asia team, will join the Board of Directors at Green Tea Restaurant. Sydney, 30 May 2017 – DIF Infrastructure IV is pleased to announce the acquisition of 100% of the 125 MW Clare Solar PV project from Fotowatio Renewable Ventures (FRV), via a 50 – 50 joint venture with Lighthouse Infrastructure. Developed by FRV, the Clare Solar Farm is located around 35 km south-west of Ayr in Northern Queensland. The 125MW (DC) photovoltaic solar farm is currently under construction and is scheduled to commence operations in late 2017. The project will create up to 200 jobs during construction and when completed will generate enough electricity to power approximately 42,000 Queensland homes, abating nearly 200,000 tonnes of CO2e emissions annually. Origin Energy, a major Australian energy company, has entered into a long-term contract to purchase 100% of the electricity output and large-scale renewable energy certificates (LGCs) generated by the project. Project finance has been provided to the project by NAB and SMBC. RBC Capital Markets and Société Générale were financial advisers to Lighthouse and DIF in relation to the acquisition and King Wood Mallesons acted as legal adviser. Marko Kremer, DIF’s Head of Australasia added: “This acquisition represents DIF’s third large scale solar PV project in Australia, and we are delighted to further extend our relationship with FRV following the acquisition of the Royalla Solar Farm in 2016”. DIF is an independent and specialist fund management company, managing funds of approximately €3.7 billion. DIF invests in infrastructure assets that generate long term stable cash flows, including PPP / PFI / P3, regulated infrastructure assets and renewable energy projects in Europe, North America and Australia. DIF has offices in Amsterdam, Frankfurt, London, Paris, Luxembourg, Madrid, Toronto and Sydney. Ard Group and Verdane aim to jointly develop the portfolio’s strong companies, and through the transaction, Verdane Capital IX becomes the majority owner in Ard Group portfolio companies O. Mustad & Søn AS and Sunkost AS. For Mustad, a Norwegian company with roots dating back to the 19th century, the investment marks the next phase of development. John Are Lindstad, with a background from Fenix Outdoor Group/Fjällräven, was appointed CEO of Mustad in April. As a global leader in fishing hooks, Mustad produces over 1.5 billion hooks per year for recreational and commercial use. The company has 460 employees, and revenues of Nkr 312m in 2016. Verdane funds provide flexible growth capital to fast growing software, consumer internet, energy or high-technology industry businesses. The funds are distinctive in that they can invest both in single companies, and portfolios of companies. Verdane funds have €900m under management and have invested in over 300 holdings over the past 14 years. Verdane Capital Advisors has 25 employees working out of offices in Oslo, Stockholm, and Helsinki. More information can be found at: www.verdanecapital.com. Paris, Huizen – 23 May 2017. French agricultural cooperative group InVivo Group (www.invivo-group.com) intends to buy a 100% share in the Dutch-based Baarsma Wine Group (www.baarsma.com). The company has reached an agreement to this effect with Baarsma Wine Group’s current shareholders, private equity firm AAC Capital Partners, and the management. Over the next few years, InVivo Group wishes to grow its international wine activities both autonomously and through acquisitions. The intended acquisition will be submitted for approval by the Competition authority. Neither company is disclosing financial details of the transaction. InVivo Group, with an annual turnover of €6.4 billion and 9,200 employees, has a presence in 31 countries across the globe. Its activities are concentrated within four divisions: Agriculture, Animal Nutrition and Health, Retail and Wine. The wine division, InVivo Wine, already has stakes in various French wine companies and commercial activities in Asia and North America. Representing an annual turnover of approximately €348 million, the focus is on the production and bottling of wines and the market representation of over 23 cooperatives (3500 wine makers). Vinadeis (www.vinadeis.fr), as part to its wine division, has bottling and packaging facilities for wines that, under various brand names, mainly reach the French domestic market. Cordier is developing an outstanding range from Bordeaux with a modern approach and Mestrezat is specialised in Grands Crus wines. The Dutch-based Baarsma Wine Group is a European leader in wine imports and distribution. The group has an annual revenue of approximately €210 million, 250 fulltime employees and is active in the Netherlands, Belgium, the UK, Switzerland and South Africa. The strength of the company lies in marketing wines nationally and internationally to retail, the hospitality and foodservice sector, specialist stores and in some countries directly to consumers. The product portfolio includes wines of internationally renowned and successful wineries, own brands and private label wines for supermarkets and foodservice companies. In addition to sourcing, distribution, sales and marketing, Baarsma Wine Group also runs its own bottling facility in Zaandam, the Netherlands, and produces and bottles some of its wines in Switzerland and South Africa. InVivo Wine and Baarsma Wine Group , subsidiaries included, will continue to operate autonomously and under their own names. There will not be an organisational merger. In the years to come, the expansion outside of France will be driven mainly from the Netherlands, with a leading role for the management of Baarsma Wine Group. Mr Cees de Rade (CEO) and Mr Ed van der Sluijs (CFO), will also become members of InVivo Wine’s Executive Committee, chaired by Bertrand Girard. Both companies expect to complete the acquisition by early summer. Baarsma Wine Group is a leading distributor of quality wines, active in the Netherlands, Belgium, the UK, Switzerland and South Africa. Established some 30 years ago in the Netherlands, Baarsma Wine Group has evolved into one of the main players in the European wine market, with a turnover approaching 210 million Euros and over 250 full time employees. InVivo Wine was launched in June 2015, as the fourth hub of InVivo, the leading French agricultural cooperative group. It consists of a group of partners, investors and contributors, the first of which were the 1st French winery cooperative, Vinadeis (€308 million turnover), the Bordeaux firms of Cordier and Mestrezat Grands Crus (€40 million turnover) and 23 members of cooperatives (3500 wine-makers) covering a wine-producing area of 25,000 hectares. The area includes the Bordeaux District, South-western France, Languedoc and Roussillon, the Rhône Valley and Beaujolais, representing the finest production of more than 1.3 million hectolitres of wine. The division’s main objective consists of building a unique global world-wide wine distributor with wine from all most renown origins in top wine consuming countries. The InVivo group comprises 220 cooperatives bringing together over 300,000 farmers. The Group employs 9,200 people in 31 countries and works in four main activities: Agriculture (seeds, agricultural supplies, international grain trading), Animal Nutrition and Health, Retail, and Wine. It reported revenue of €6.4 billion in FY 2015-2016. Ratos has signed an agreement to divest all of its shares in its subsidiary Nebula – Finland’s leading provider of cloud services to small and medium-sized companies – to Telia Company for EUR 165m (enterprise value). The divestment generates a net exit gain of approximately SEK 500m, an average annual return (IRR) of approximately 37% and a money multiple of 3.3x. Nebula is a market leading provider of cloud services, managed services, and network services to small and medium-sized enterprises in the Finnish market. The company has approximately 44,000 customers, 90% subscription-based recurring revenue, and industry-leading profitability. During Ratos’s four years as an active owner of Nebula the company has implemented a number of value-generating strategic initiatives. Two synergistic add-on acquisitions have reinforced its market-leading position among Finnish SMEs. Investments have been made in the company’s product development and its sales & marketing capabilities. The customer base has grown by more than 30% during Ratos’s ownership and the number of employees from 110 to 145. The annual growth rate has been approximately 12%*) since the acquisition in 2013, with sales amounting to EUR 35.2m and an EBITA of EUR 10.6m per rolling 12 months as of 31 March 2017. “Together with Nebula’s management and our co-investors Rite Ventures, we have focused on continued growth and profitability. Through strategic measures and added resources, we have strengthened the company’s market position. Improved customer offerings have secured strong customer relationships and high customer satisfaction. Nebula is a well-run company positioned for further growth. Following our discussions with Telia Company, which is a logical buyer, we have arrived at a purchase price that takes Nebula’s position and prospects into account. On this basis, we have agreed to sell and believe the time is right to hand over to a new owner. We are convinced that Nebula and Telia Company complement each other well and can benefit from each other’s respective strengths,” says Johan Rydmark, Investment Director at Ratos. The selling price for 100% of the shares (equity value) amounts to EUR 110m and the enterprise value to EUR 165m. Ratos’s share of the equity value is approximately EUR 78m and the net exit gain totals approximately SEK 500m, calculated on the book value of Ratos’s holding in Nebula at 31 March 2017. Average annual return (IRR) amounts to approximately 37%. Ratos’s holding in Nebula is 73%. The transaction is expected to be completed during the third quarter and is subject to customary merger control filings. *) The annual growth rate includes the acquisition of Sigmatic. Ardian, the independent private investment company, today announces that it has signed an agreement to acquire a stake in LBC Tank Terminals (“LBC”) from State Super and Sunsuper. LBC, headquartered in Belgium, is a top-tier global independent operator of bulk liquid storage facilities, predominantly for chemical & base oil products. remain invested in the company with a 32.5% stake each. services for all modes of transportation. 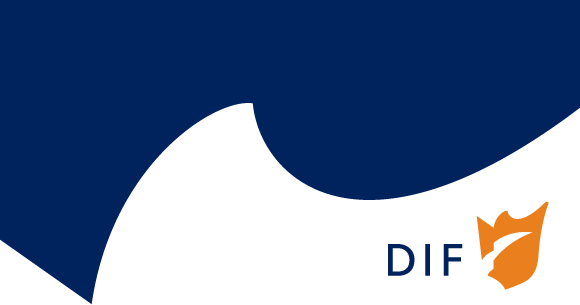 London, 22 May 2017 – DIF Infrastructure IV is pleased to announce that its consortium, following the announcement made on 2 May 2017, completed the 100% acquisition of the Affinity Water Group on 19 May 2017. DIF’s share in the consortium is 26.9%, which in addition comprises of Allianz Capital Partners on behalf of Allianz Group (36.6%) and HICL Infrastructure Company Limited (the listed infrastructure investment company advised by InfraRed Capital Partners Limited) (36.6%). Affinity Water is the United Kingdom’s largest water only supply company by revenue and population served. It is licenced under the Water Industry Act 1991 and regulated by Ofwat, ensuring long term stable income streams. Affinity Water owns and manages the water assets and network in an area of approximately 4,515 km² in the southeast of England, split over three regions, comprising eight separate water resource zones. The company is the sole supplier of drinking water in these areas. Affinity Water supplies, on average, 900 million litres of water a day to over 3.6 million people, serving 1.5 million homes and businesses, together with operating 98 water treatment works.